So today’s post is all about Park Lane. 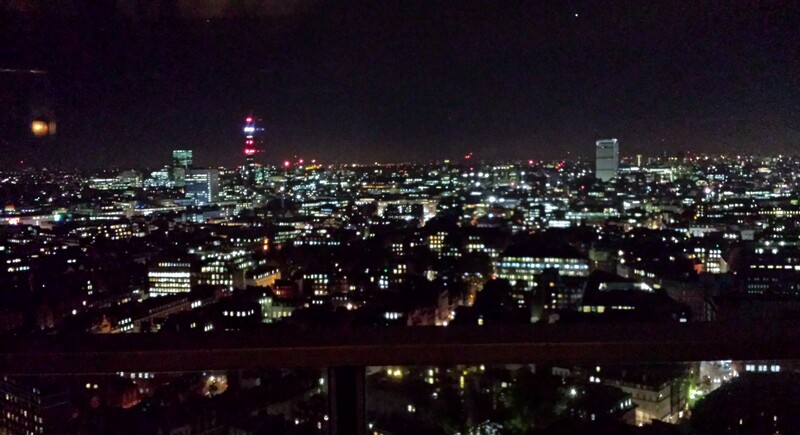 My bestie and I went to La Nuit: Galvin at Windows Bar and Restaurant, for drinks and nibbles. Found on the 28th floor inside the Hilton Park Lane Hotel, we were pretty excited to see what was in store. Anyway, my friend arrived and we were whisked up in the lift, my ears popped and the doors opened up into a fairly narrow but long hallway. We were showed to the clock room and were quickly taken into the bar area and seated. Inside the decor was fairly plush and had a properly stocked bar (yay!) but what stood out for me were the night time skyline views. Isn’t London gorgeous at night?! Nibbles were okish. I have to say the broccoli was lukewarm and soggy. The chicken in chilli sauce was covered in a lot of sauce so you hardly tasted any of the chicken. Where they fell flat in the nibbles department, they certainly made up in the cocktails; which is really where you expect them to succeed seeing that it’s a bar! I had your standard cosmopolitan which was delish. My friend ordered this concoction that had tomato puree, chilli sauce and some sort of green tea that she was absolutely in love with. Good for those who are into your savoury stuff. We hung out for a bit talking, laughing and listening to the tunes then decided to go have a wander. Our second stop was the Dorchester Hotel. I had never been so we decided to go sit in the lobby and people watch :). Really fascinating I tell you. Plus we compared the hotel decor and I have to say that this hotel won! The smell, the decor and ambiance is pretty spectacular in comparison. Nice to do something different on a Friday evening. We’re thinking we’ll go explore another area of London. Where do you think we should go next?